Park Lane Services began in 1989, primarily as a computer repair provider. In the early days, most of our clients were school systems and most of our repairs were on Apple II and Macintosh computers, along with their peripherals. Today, much of our work is in providing quality, customized websites and web-based applications. We also provide printing services, promotional products, and other graphic design services, many of which can be viewed on this website. Who Are We? We are Park Lane Services. We are a family-owned small business. We provide any and every graphic design solution you could need. We are your one-stop shop for all your website, graphic design, and marketing needs! What Do We Do? Our main focus is the design, development, hosting, and management of websites and web-based applications for businesses, schools, non-profit organizations, or individuals. We do 3D modeling and animation, 2D modeling and animation, print, and web layout. Where Are We? 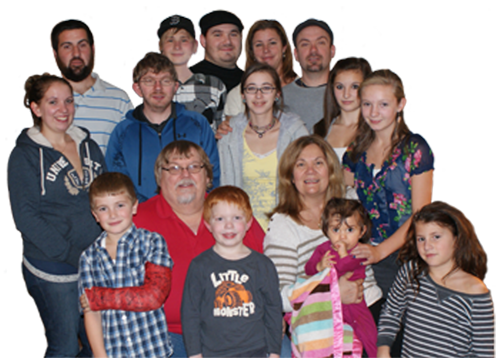 We are located in New Hampshire and work with people from all around the US. Digital work is delivered through the web and printed work is either delivered personally or shipped via USPS or UPS. Why Do We Do It? The internet is the cheapest way to get your name out, especially in a changing economy. After we spent some time on websites we decided to bring great prices to other areas of graphic design. So now we continue to build and manage websites for others, but also help get small businesses started with logos and designs. © 2019 Park Lane Services | (last updated 2-20-2019) | Website designed and hosted by Park Lane Services.